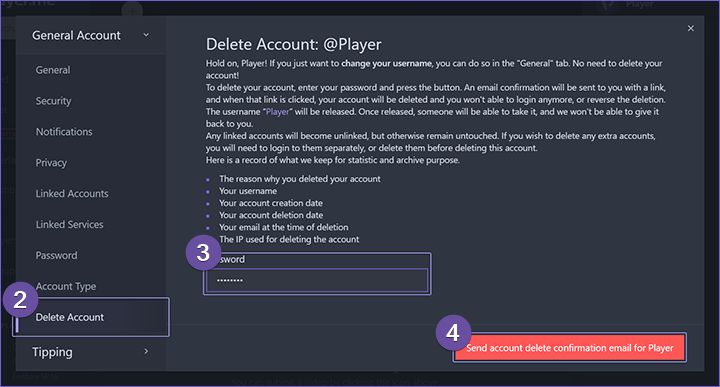 If you don&apos;t think you&apos;ll use Player again, you can choose to have your account permanently deleted. Note that if you just want to change your username, you can do so under Settings then the General tab. There&apos;s no need to delete you account! In any case, here&apos;s how to delete your account. Select Settings from the menu beside your username. 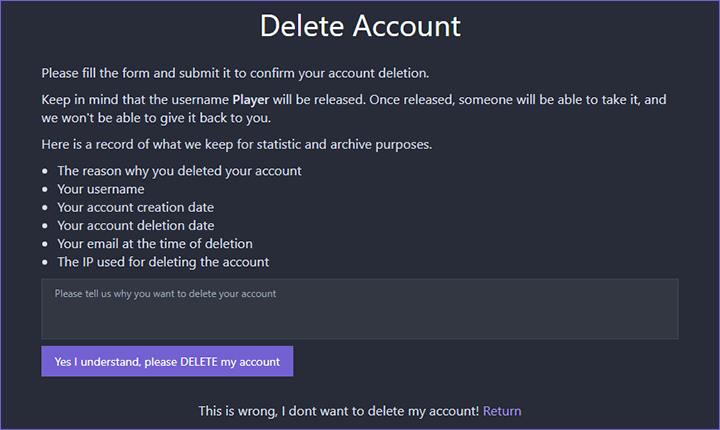 Click the Delete Account tab in the Settings window. Type your password in the field shown. Click the Send account delete confirmation email button.